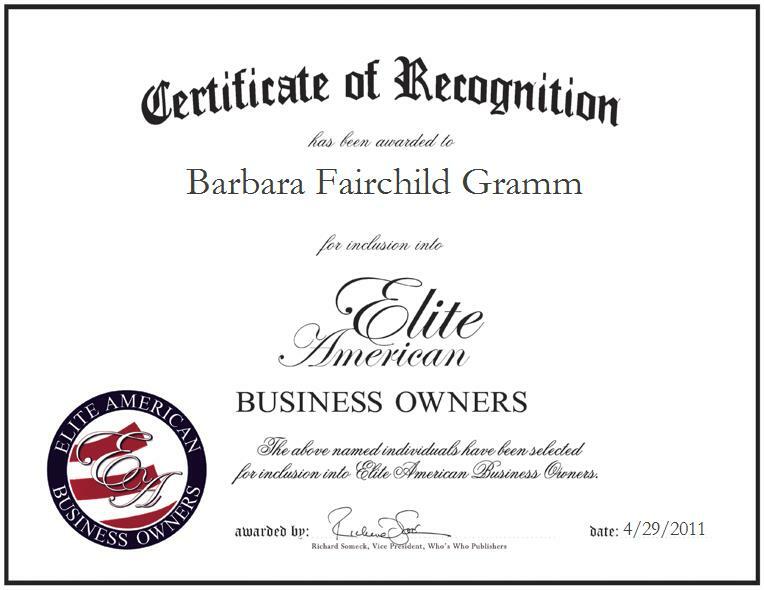 Woodbury, MN, April 29, 2011, Barbara Gramm, Owner and Manager of Pig’s Eye Press, has been recognized by Elite American Business Owners for dedication, achievements and leadership in publishing. For the past 18 years, Ms. Gramm has been publishing self-authored books through her company Pig’s Eye Press. Her latest book, “And You Think You’ve Got It Bad,” is a humorous look at life and housekeeping in the 19th century. Featuring advertisements and illustrations from that era, the older generations love to reminisce over it while the younger generations find it educational and entertaining when compared to today’s modern living. Previously, Ms. Gramm worked full time for 33 years for BNSF Railway Company, but never lost sight of her dream of becoming an author and owning her own publishing business. Outside of her work in publishing, Ms. Gramm is very active in care-based volunteer work. She is currently a patient advocate at Woodwinds Hospital and lends her support to Woodbury and Peaceful Grove United Methodist Church and Wesley Meals. In 2003, she went on a missionary trip to Robin’s Nest Orphanage in Jamaica. There, she cared for unloved and abused babies and children who were left on the streets. She continues to support the orphanage.